Many roofers have suffered similar fates with their online marketing experience. They pay a firm a considerable upfront free, and then invest continually on a fixed, per month basis. The marketing company performs digital marketing services like SEO, content marketing, website design, and Google My Business and Maps optimization. 6 months to a year later, your phone hasn’t been ringing any more regularly than it was prior to your investment. The end result is wasted money on services that simply didn’t impact your bottom line. What’s missing? The question roofers must ask themselves is, what is the value of the first list without the second? In other words, if you have a website, content, SEO, and Google Maps listing, without lead generation, revenue growth, and sales conversions, what are those things inherently worth? Try this; zero. 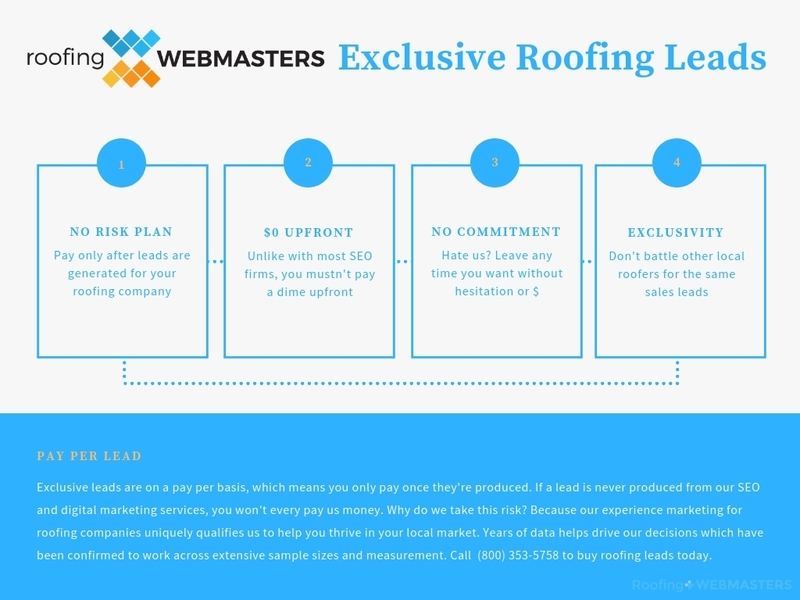 Roofing Webmasters refines the value proposition on the second list, which is by far the shortest path to satisfaction for roofing companies. Call (800) 353-5758 to buy roofing leads. 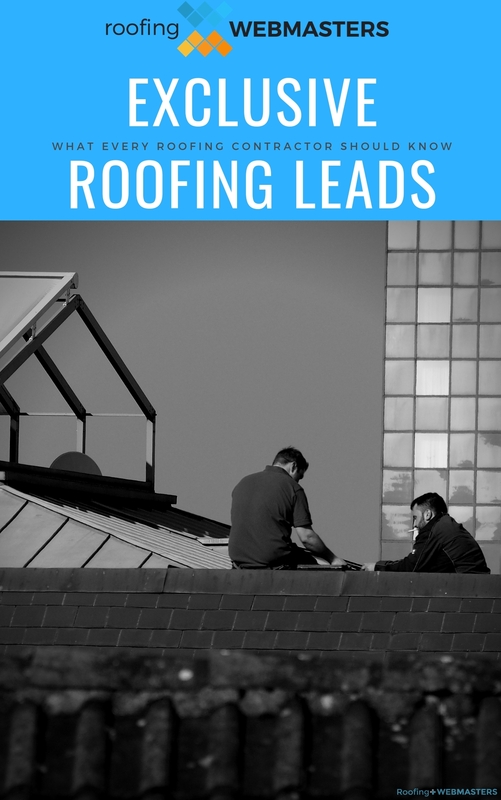 When contractors ask us how to generate roofing leads, our answer can run on for minutes. That’s because lead generation is a wide-ranging process that entails multiple concepts and tasks. For example, custom website design is a large part of the process but so is social media marketing, keyword placement, and content writing, not to mention SEO as a general principle. Because it takes every element to generate leads at an optimal rate, our PPL services include each concept. Typically, these tasks performed exclusively would cost you a ton, but with the Pay Per Lead plan, they are free. You only pay for the leads themselves, not the process of generating them. While those listed above are some of the most popular, they are far from the only types of leads we can generate on your behalf. Since we serve you as our customer, the choice is yours as to which consumer you’d like to target. We can help guide you towards the most profitable avenues, but ultimately the final decision is yours. And again, it’s no risk. Since you pay only after a lead is produced, if nobody seeks out your services, you’ll never pay us. We are very confident in our work, however, making that case all but an impossibility. 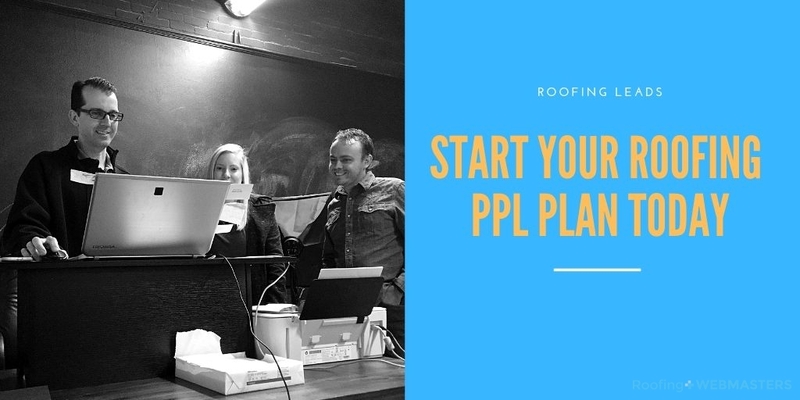 Still, the security on your end is invaluable and can really be the boost you need for your local roofing company to go forward with marketing. We look forward to working with you and attracting the types of leads that you hope to generate. We serve the entire United States of America. That means everything from roofing leads in Texas to California is available with our services. We have every team member in-house, diversely skilled to execute every aspect of your internet marketing campaign. From website design to social media management, and everything in between, there’s nothing our group cannot handle in our very own office. We work with companies of all sizes, from one man bands to bigger brands. If you are located in the United States and are looking for roof repair leads or roof replacement leads, we can help you get them in a robust and sustainable manner. Roofing Webmasters has been in thriving since 2013, and we’ve helped a lion’s share of contractors achieve sustainable success over the last 5 years. We have so much confidence in our ability to provide excellent marketing services that we provide payment plans on a per lead basis. If our services fail, you pay nothing. We’d have built your custom roofing website, optimized it for search, and refined your Google My Business and Maps listings for nothing. If our clients failed, we’d go out of business and file chapter one bankruptcy while trying to sell insurance door to door. Bottom line is this, we can’t let our customers fail. But the burden is on us, and not you, which is how it should be for a change. Updated on March 15, 2019 at 6:14 pm by Roofing Webmasters.